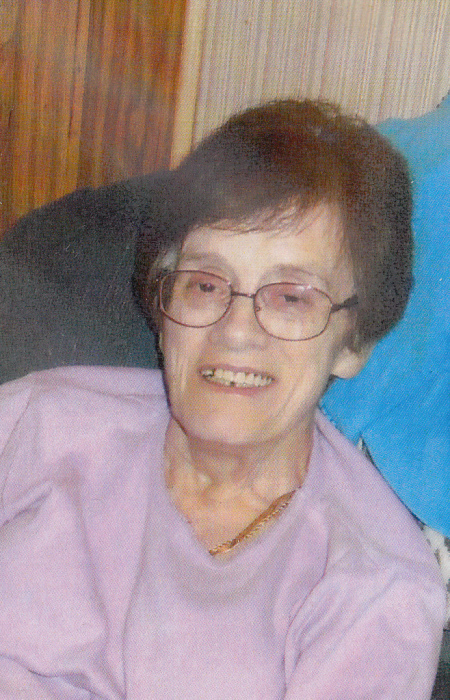 Helen Martha Raby Edwards, 77, went home to be with the Lord Wednesday, September 5, 2018. Helen was born August 27, 1941 in Macon County to the late Joe Vernon Raby and Gladys Gertrude Roper Raby. She worked for Macon County for Progress and worked in food service. Helen was a member of Mt. Sinai Assembly of God. She was a member of the VFW Ladies Auxiliary and the American Legion Auxiliary were she served as officers of both organizations. Survivors include her three sons, Jerry Lee Hughes (Mary Lou) of Hendersonville, NC, James Stephen Hughes of San Francisco, CA. and Larry Eugene Hughes (Leslie) of Hickory, NC; four brothers, Bobby Joe Raby, John Raby, Russell Raby and Fred Raby all of Franklin, NC; six grandchildren, Austin Hughes, Amber Boyles Faint, Jonathan Hughes, Elizabeth Hughes, Kelly Sharp and Christian Wyatt; five great-grandchildren, Landon Hughes, Tapanga Naples, Markus Isabella, Taylor Wyatt, and Jason Wyatt; and three step-children, Rex Dean Stepp (Cindy), Ronald Stepp, and Wanda Osteen. Helen was preceded in death by her parents; a brother, Buddy Raby; and two step-daughters, Judy Stepp and Joy Stepp. A funeral service will be held 4:00 P.M. Sunday, September 9, 2018 in the Chapel of Bryant-Grant Funeral Home with her brother, Rev. Johnny Raby officiating. The family will receive friends from 2:30-4:00 P.M. prior to the service at the funeral home. A graveside service will be held 11:00 A.M. Monday, September 10, 2018 at Forest Lawn Cemetery in Hendersonville, NC.